© 2002, © 2018 by Paul Freeman. Revised 9/1/18. 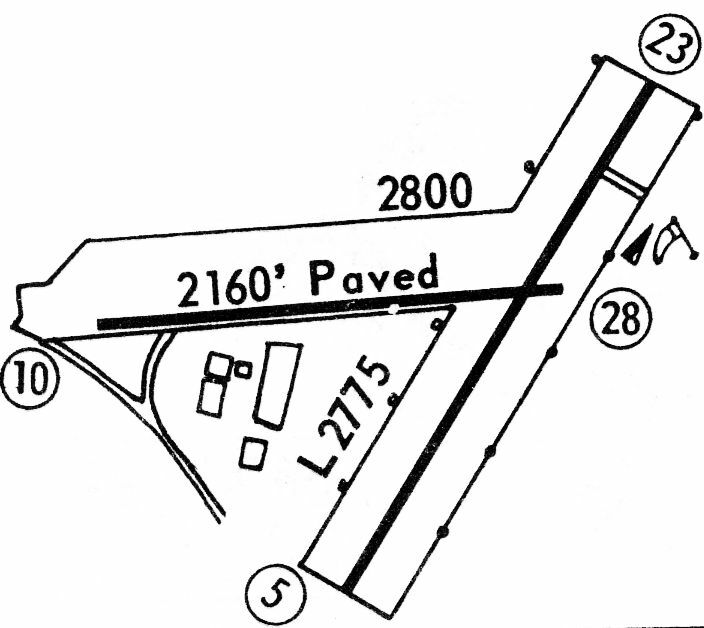 Pilgrim Airport, as depicted on the January 1950 Albany Sectional Chart. as it was not yet depicted on the July 1946 Albany Sectional Chart. The earliest depiction which has been located of the Pilgrim Airport was on the January 1950 Albany Sectional Chart. It depicted Pilgrim Airport as having a 2,500' unpaved runway. 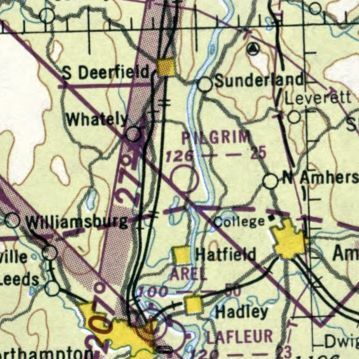 The 1955 USGS topo map depicted Hatfield-Pilgrim Airport as having 2 unpaved runways, labeled simply as “Airstrip”. 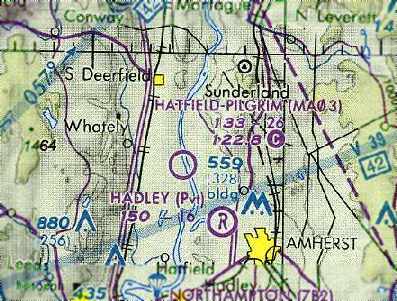 Hatfield-Pilgrim Airport was not yet listed among active airfields in the 1960 Jeppesen Airway Manual (according to Chris Kennedy). was in the 1962 AOPA Airport Directory. depicted Hatfield-Pilgrim as a public-use airport having a 3,100' unpaved runway. Ken Sherman recalled, “I earned my private pilot’s license at Pilgrim Airport 1966-67. It was a hand-to-mouth operation with one small Quonset hut heated by a pot-bellied stove. I couldn’t afford a car so I had to drive my Lambretta motor scooter in the dead of winter to & back, a 10-mile round trip. By the time I got to the airport I was so cold I couldn’t feel my legs so I had to sit on the stove until feeling returned. Instruction was $14/hour, solo $10/hour. The school had 2 Cessna 150s, both of which had seen better days. with 2 unpaved runways: 3,100' Runway 5/23 & 2,334' Runway 11/29. Several small buildings were depicted on the east side of the field. The earliest photo which has been located of Hatfield-Pilgrim Airport was a 1971 aerial view. It depicted the field as having 2 grass runways. Two small hangars were located northeast of the runway intersection, around which were visible 7 light aircraft. 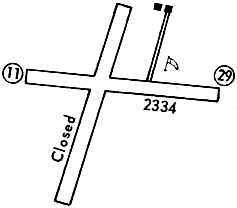 depicted Hatfield-Pilgrim as having 2.334' Runway 11/29, as well as a closed crosswind runway. Two buildings were depicted to the northeast of the runway intersection. Ken Sherman recalled, “In 1973 I revisited Pilgrim. crushing the airplanes inside & leaving no hangar for private aircraft. as well as another aircraft at the runway intersection. collided with terrain while landing at Hatfield-Pilgrim Airport. The airplane was substantially damaged, and the pilot received minor injuries. The report described the field as having a 2,200' turf Runway 11/29. as having a single 2,200' turf Runway 11/29. on the December 1997 NY Sectional Chart (courtesy of Chris Kennedy). It was depicted as having a 2.600' unpaved runway. 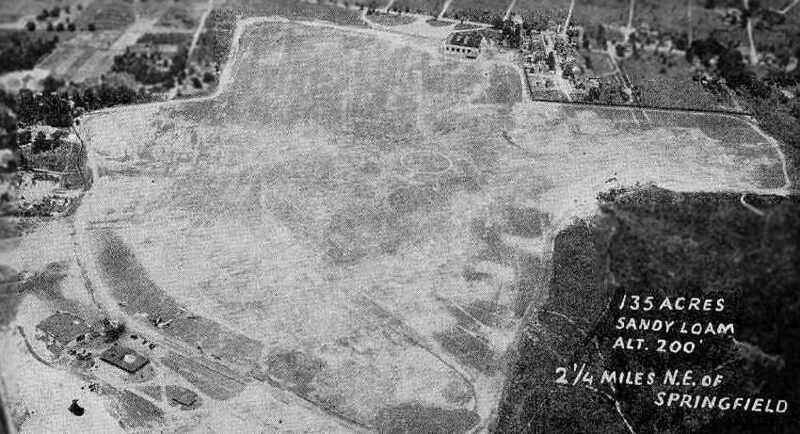 as a 2000 USGS aerial photo showed no aircraft on the field, which otherwise remained intact. Ken Sherman recalled, “The last time I visited was about 2000, at which time it had become an ultralight field with no supporting activities. 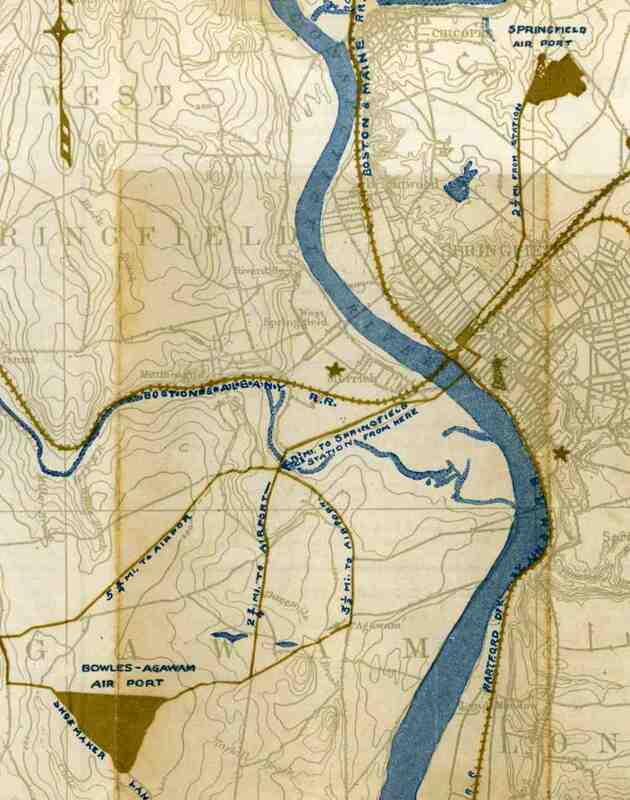 The airport had been built on an oxbow of the Connecticut River & had the habit of flooding every spring. It was shortly after that that the field was delisted & returned to its pre-aviation status as a crop field. 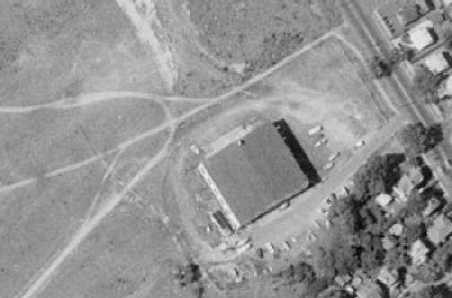 An April 2005 aerial photo by Scott Dunn, looking northeast at the remaining hangar at the former Hatfield-Pilgrim Airport. 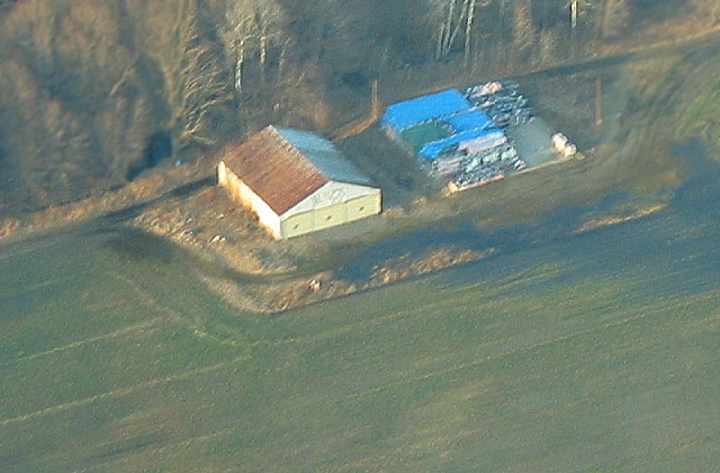 A March 2006 aerial photo by Scott Dunn, looking north at the former Hatfield-Pilgrim Airport. A 2014 aerial view of the site of Hatfield-Pilgrim Airport shows the hangar remains standing, and the runways remain clear. A 6/4/18 photo by Dale Wunderlich of the hangar which remains at the site of Hatfield-Pilgrim Airport. 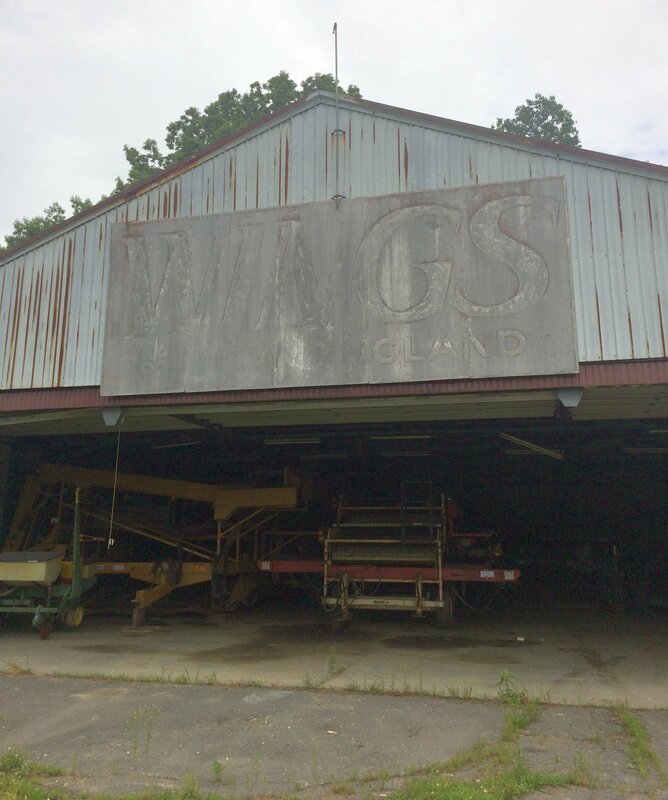 Dale reported, the sign on the hangar “reads 'Wings of New England'. There are no other signs of aeronautical operations around. It is currently being used for farming operations. 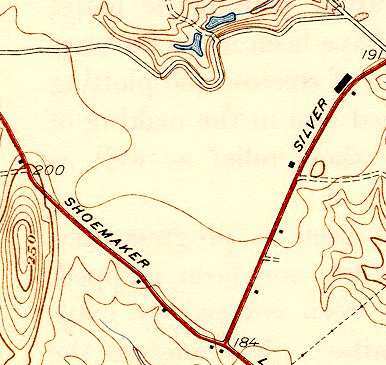 The site of Hatfield-Pilgrim Airport is located northwest of the intersection of Main Street & Depot Road. The location of Bowles-Agawam Airport, as depicted on the 10/7/29 National Air Tour Souvenier Banquet program (courtesy of Tom Heitzman). was on the 10/7/29 National Air Tour Souvenier Banquet program (courtesy of Tom Heitzman). Jack Minnix recalled, “The Springfield Newspapers were owned by the Bowles family who owned the airport. held to commemorate the “Bowles Airport Dedication” (courtesy of Tom Heitzman). Tom reported, “A local kid attended this event & gathered the stuff he attached to the inside cover as well. 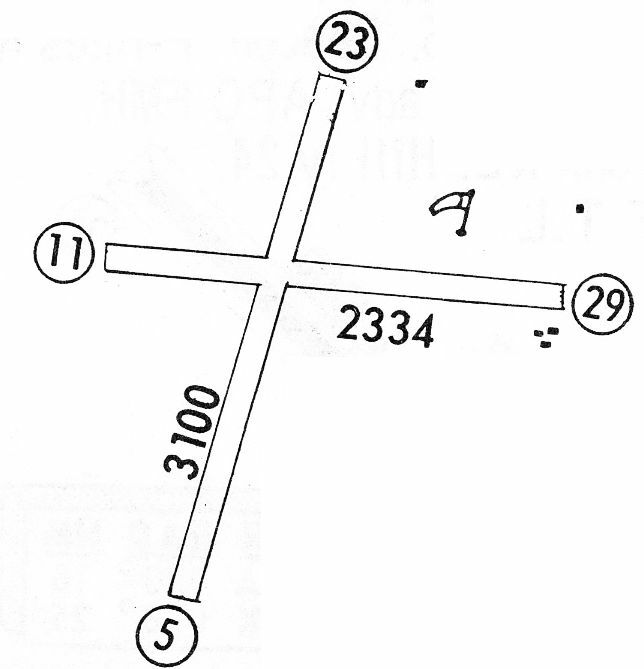 which featured a diagram of the field's unusual configuration of 4 runways within a circular perimeter. which had been built for the airport's 1930 dedication & the 1931 Army air maneuvers. from an advertisement for the Standard Manufacturing Company (courtesy of Harry Doherty). as depicted on the 5/5/31 Department of Commerce Airway Bulletin (courtesy of Jonathan Westerling). with 2 buildings along the eastern edge of the field. to commemorate the grand opening of Bowles Field (courtesy of Matt Lawlor). with 4 grass runways contained within a circular outline. Also depicted was a hangar & a multi-story terminal building. A 2/3/18 photo by Matt Lawlor of a souvenir ribbon from the 1931 Army Air Corps flight into Bowles Airport. A scheduled air service operated out of Agawam for approximately a year, circa 1931. A 9/2/31 Hartford Courant newspaper article (according to Jonathan Westerling) proclaimed “American Airways Leases Space At Bowles Airport”. A circa 1930s photo of an Agawam Cicada in front of a hangar at Bowles Airport. 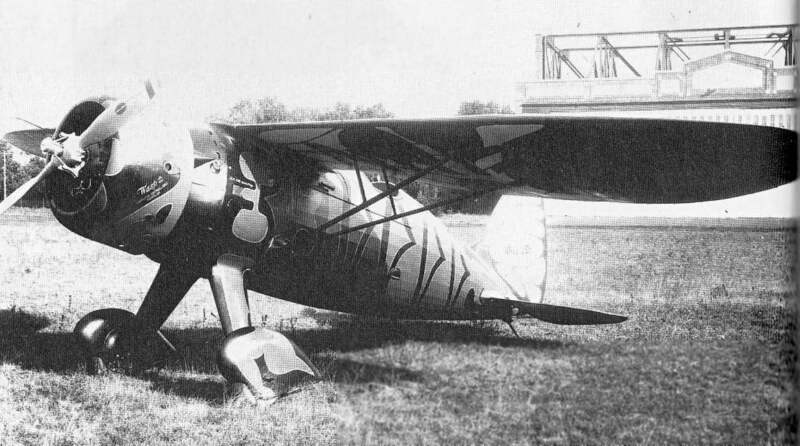 According to Matt Lawlor, “The 'Cicada' ended up meeting a sad end when its pilot clipped the top of the hangar at Bowles following his return from the 1932 National Air Races. to the Cleveland Air Races in 1932 (and he won with it). from the Airport Directory Company's 1933 Airports Directory (courtesy of Chris Kennedy). four 1,000' macadam runways, circled by a 2,500' taxi strip. A single hangar was depicted on the northeast corner of the field. The manager was listed as Garry Hermann, and the operator was Springfield Airlines. A circa 1930s photo of a Ford Tri-Motor & crew in front of the Bowles Agawam hangar (courtesy of Matt Lawlor). A circa 1930s photo of a New England & Western Air Transportation Airline crew in front of their Ford Tri-Motor at Bowles Agawam Airport (courtesy of Matt Lawlor). was on the June 1933 Albany Sectional Chart. The 1934 Navy Aeronautical Chart (courtesy of Chris Kennedy) depicted Bowles-Agawam Airport as triangular-shaped. as it was not listed at all in the 1934 Commerce Department Aeronautical Bulletin (according to Jonathan Westerling). According to Jonathan Westerling, “The owners of the private airfield had apparently come on hard times with the depression. With no takers, the property was sold in foreclosure in 1935”, as described in a 6/2/35 Hartford Courant newspaper article (according to Jonathan Westerling). sought to capitalize on a 1934 Massachusetts state law which legalized pari-mutuel betting on horse racing. The new owners quickly turned the airport into a horse racing track, spending a million dollars on its construction. Dean Quarrell reported, “Bowles Field closed as an airport in the early or mid 1930s. A 1935 program described the races at Agawam Park. Seabiscuit won the Springfield Handicap at Agawam in track record time in 1935.
outlawed betting on horse racing at Agawam Park by referendum in the November 1938 election & the racetrack was forced to closed its doors. in the 1938 Commerce Department Aeronautical Bulletin (according to Jonathan Westerling). 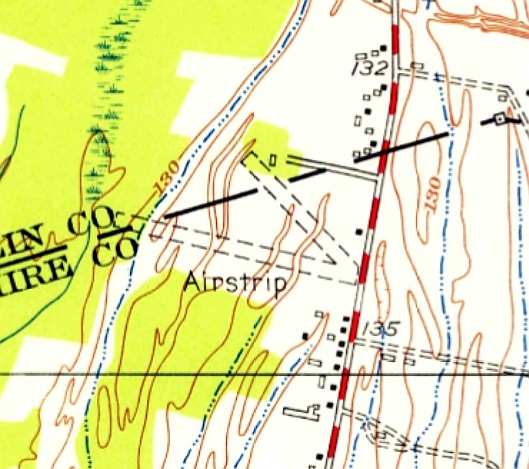 The 1938 USGS topo map depicted the open area of the airfield, but it was not labeled at all. Strangely, the 4 runways within the circular outline depicted in the 1933 photo were no longer depicted at all. Were these runways removed at some point? Overall, this appears to show that the airport was no longer operating in 1938. 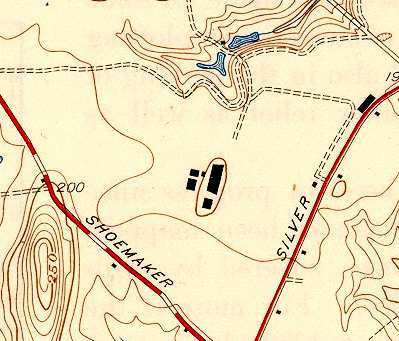 The 1938 topo map did depict the hangar & terminal building along the road on the east side of the field, however. depicted the 4 “old runways”, taxi circle, hangar, administration building, and the grandstand in the center. However, inexplicably it did not depict any planned new construction. and the elaborate Bowles Agawam hangar on the north side (right side of picture). but all of the features in the center of the property (the runways, taxi circle, and grandstand) were gone. 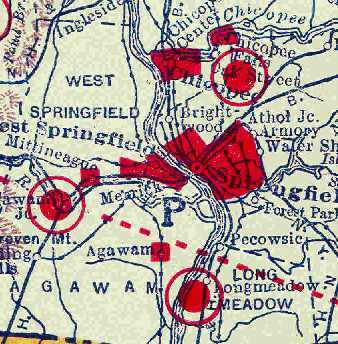 the city of Springfield recommended returning the property to aviation use as a municipal airfield in 1943.
described Bowles Agawam as having a 4,500' unpaved runway. 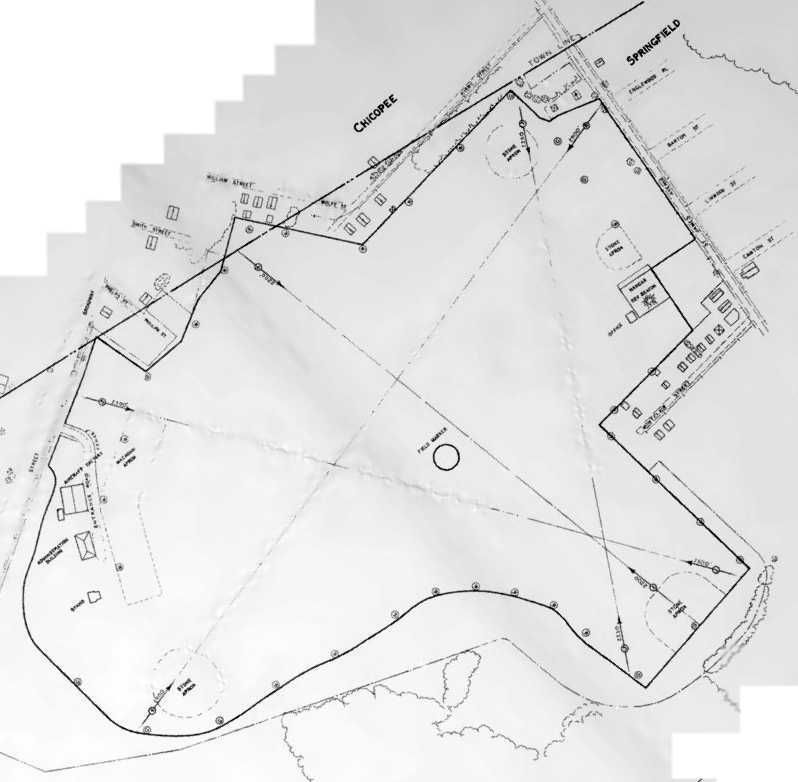 The 1945 USGS topo map still did not label the site as an airfield, which is inexplicable. 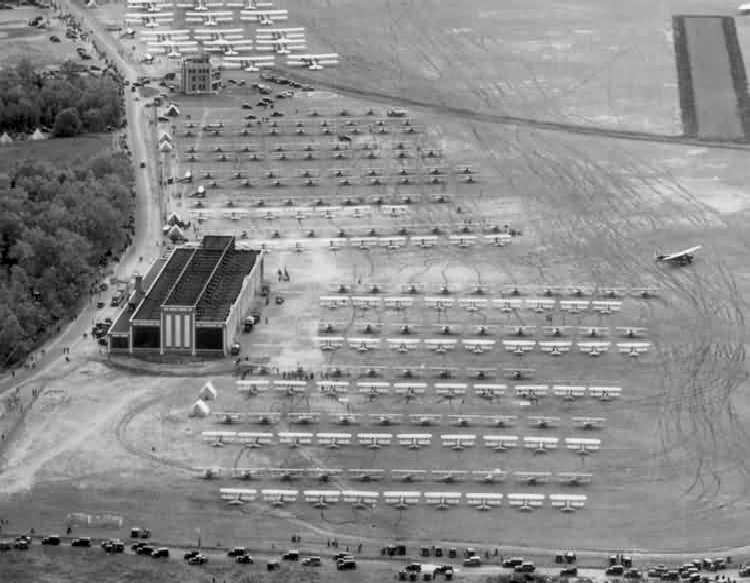 it also depicted a group of new buildings along the western edge of the airfield, which were apparently a grandstand. 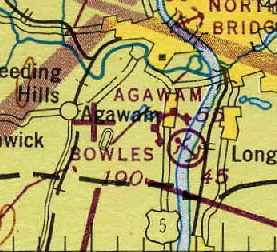 depicted both the Bowles Airport (with an auxiliary airfield symbol) as well as Agawam Airport & Seaplane Base (along the river). described Bowles Agawam as having 3 runways, with the longest being 4,000'. and a grandstand facing the runways (courtesy of Harry Doherty). A closeup from the circa late-1950s aerial photo of the hangar, terminal building, and grandstand (courtesy of Harry Doherty). or at least one such, an engineering company called Associated Engineers. as having 2 asphalt runways: 2,775' Runway 4/22 & 1,735' Runway 10/28. 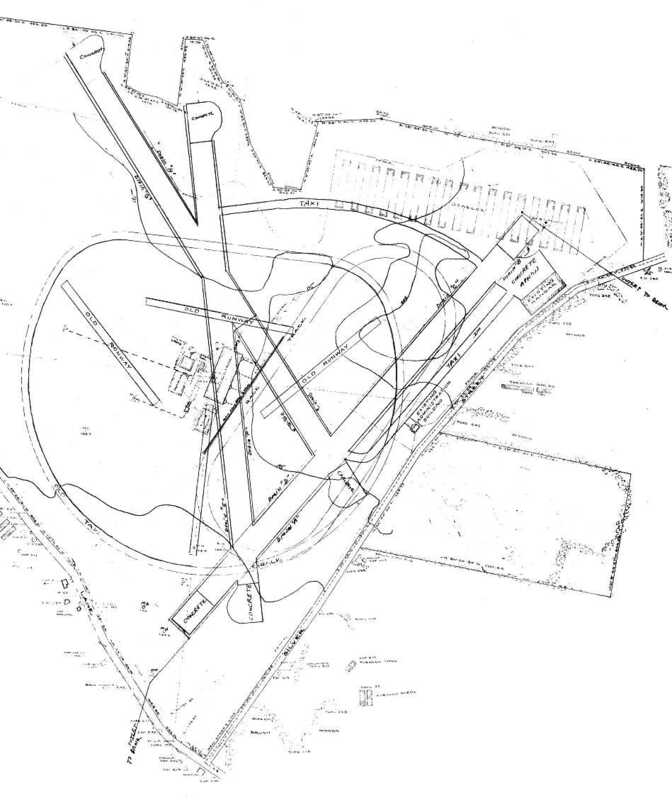 It listed the operator as New England Aero Tech, Inc.
A 1962 plan (courtesy of Richard Starodoj) depicted a proposal to rebuilding Bowles into a much-larger airport. In their place, 2 much-larger concrete runways (over 4,000' long), taxiways, and an apron were proposed to be added. Apparently, this proposal was never carried out, for reasons unknown. Edwin More recalled, “I earned my Private Ticket at the Bowles/Agawam Airport in the 1960s. It has quite a history. Charlie Lucas was the manager & FBO for decades when it was owned by the Springfield Newspapers. He told me that he was there for 30 years with only 30 day leases. For a while he operated a mechanics school. and spent many hours as a youngster hanging around the 'huge hangar' & watching planes come & go. It used to get particularly busy (and interesting) when the crop dusters were around spraying the local truck farms. but 14 year old male curiosity & adventure often overcame those adult concerns. run by John Lizek which had offices located in the hangar. until the field was closed & sold for development much to his (and my own) dismay. Jack Minnix recalled, “I worked for the Springfield Newspapers from 1964-69. Sometimes in the winter, we had to go over to shovel snow off the roof of the grandstand there so it would not collapse. 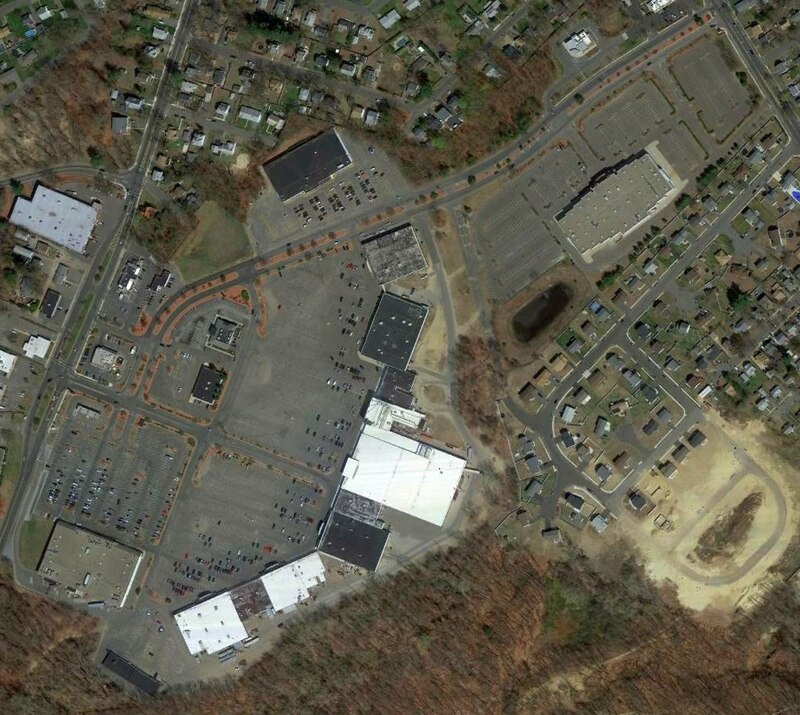 described Bowles Agawam as having 2 runways, with the longest being a 2,775' asphalt strip. as having 2 paved runways: 2,275' Runway 5/23 & 2,800' Runway 10/28, of which 2,160' was paved. Several buildings were depicted to the southwest of the runway intersection. Jack Minnix recalled, “The big hangar there was an imposing structure. I remember a friend had a Cessna 172 hangared in it & he gave me one of my first airplane rides in 1970. The last aeronautical chart depiction which has been located of Bowles Agawam Airport was on the February 1970 Albany Sectional Chart. 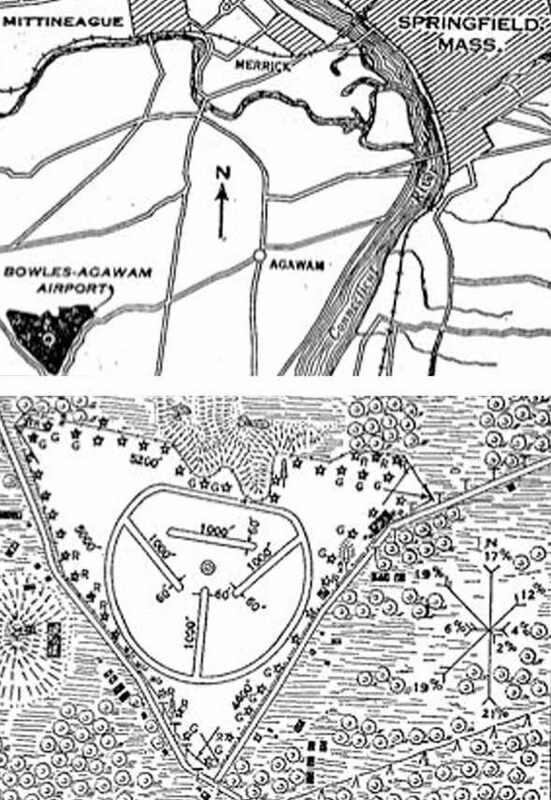 It depicted Bowles Agawam as having 2 runways, with the longest being a 2,800' paved strip. 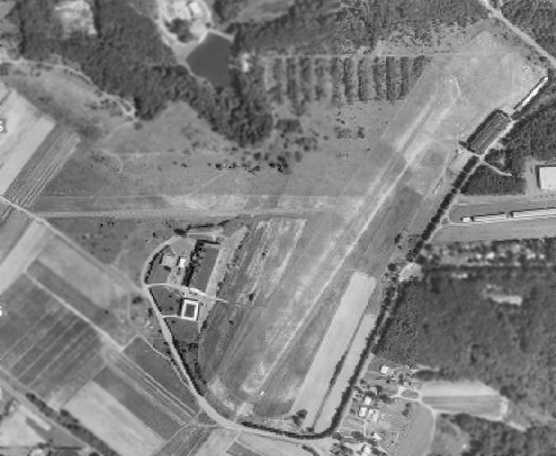 The last photo which has been located showing Bowles Agawam Airport still in operation was a 1971 aerial view. as well as the grandstand on the west side. 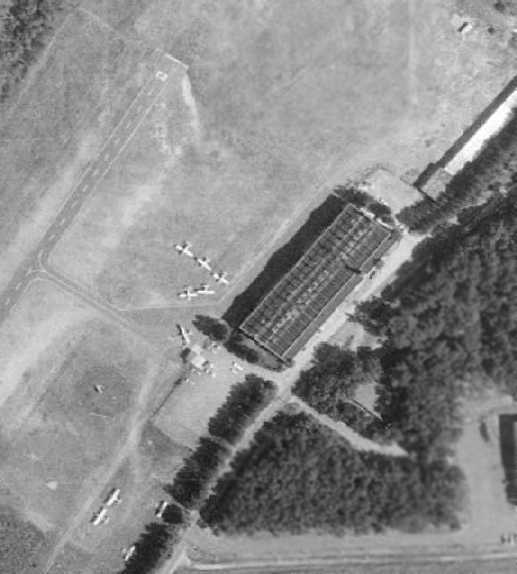 A closeup from the 1971 aerial view, showing the hangar & 10 light planes on the northeast side of the field. Jack Minnix recalled, “I did fly into Bowles many times in the 1970s. It was a nice little active field with mostly single-engine aircraft. I know there was a Baron that was based there as well & a Twin Beech. assuming the winds cooperated, let it roll out to the end of the runway, attach it to a garden tractor & tow it off the airport property. across Silver Street and into his lumber yard to either tie it down or maybe he had a shed for it. 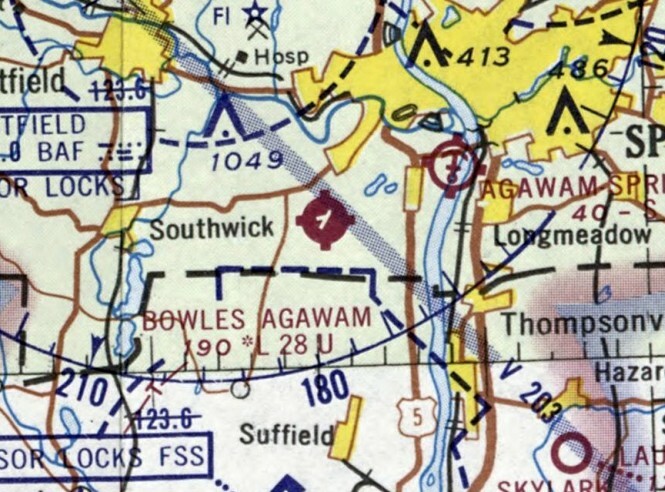 The 1977 USGS topo map depicted Bowles Agawam as having 2 runways of roughly equal length. It also depicted hangars & other buildings. Ed Provost recalled, “Bowles Agawam... I can assure you that no aircraft operated out of that field after the summer of 1977. I began working at a company nearby in Agawam that fabricated large deep-water floatation collars for the offshore oil drilling industry. we rented the large, heated floor space on the ground level beneath the old grandstand building. Our R&D lab, where I worked, was also relocated there, where I worked from 1974-80, at which time we were forced to vacate to 'allow for further development'. Being an aircraft buff myself, I often sat outside & ate my lunch when weather allowed, watching single engine planes take off & land. When the aircraft suddenly fell silent, I was told that the hangars & aircraft were going the same route as the grandstand & other buildings. I was told this by one of our (older) engineers who was a former instructor in the Army Air Corps, and flew his Taylorcraft in & out of that field on occasion. 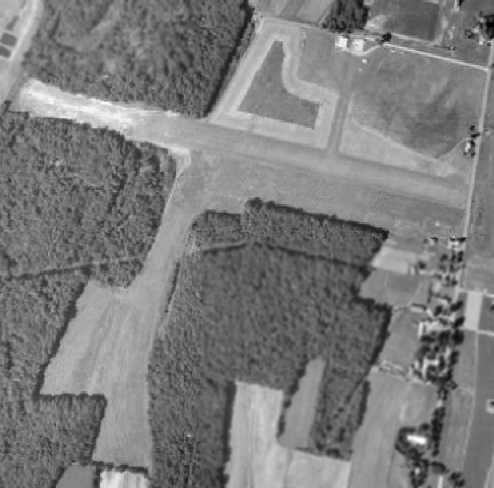 The last photo which has been located of the Bowles Agawam Airport was a 4/17/80 USGS aerial view. as well as the grandstand on the west side, but there did not appear to be any aircraft on the field. Jack Minnix recalled, “I flew up there from Teterboro one time in 1981 to see my mother who was living in Agawam. When I called her to meet up with us on arrival, she said that she thought Bowles was closed; I told her that could not be. Sure enough when I got up to the area and called Unicom, no answer. Finally another aircraft came on & said that Bowles had closed a few months before. This would have been the fall of 1981, so I think it closed in the summer of 1981. However, Bowles continued to be listed as an active airport in the 1982 AOPA Airport Directory (courtesy of Ed Drury). It described Bowles Agawam as having a 2,775' asphalt Runway 5/23 & a 2,675' asphalt Runway 10/28. The operator was listed as Lukas Aircraft Corp. Curiously, Bowles continued to be depicted as an active airport in the 1985 Flight Guide (courtesy of Jonathan Westerling). It described Bowles Agawam Airport as having a 2,800' paved Runway 5/23 & a 2,675' paved Runway 10/28. A total of 8 buildings were depicted on the southwest & northeast sides of the field. to make way for an industrial park. According to Matt Lawlor, "The first new development of the field didn't start till the late 1980s & early 1990s." with not a trace of the former airport appearing to remain. Richard Starodoj of ECS reported in 2008, “We have been located in the industrial park at the former Bowles since 1990. Our building is immediately west of the old 'large' hangar. The Millenium Press building is located where the hangar was. A 2003 photo by Jonathan Westerling. "A photo of the only 'relic' from the airport - [a street sign for] Bowles Road, which now runs through the site." 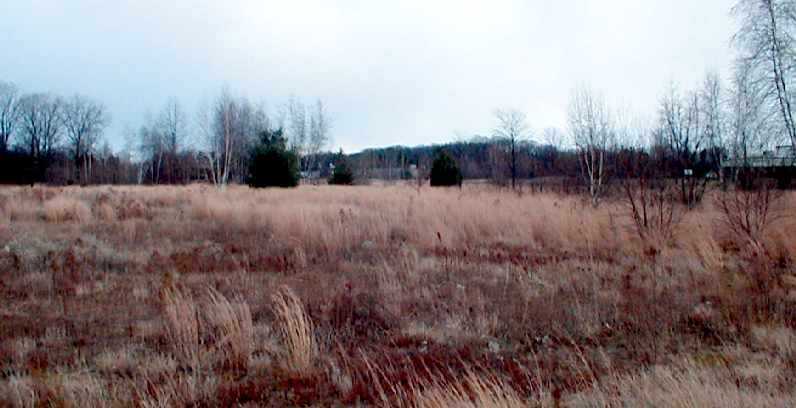 Jonathan Westerling visited the site of the Agawam-Bowles Airport in 2003. 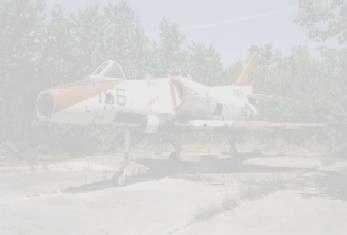 "Unfortunately , I was unable to discover any aeronautical remains from the airport which had once been there. when the area was turned into an industrial park. but there is no way to tell if these came from the actual runway." A 2003 photo by Jonathan Westerling, "Looking east along the orientation of the crosswind runway at Bowles." A 2003 photo by Jonathan Westerling, "Looking north along the orientation of the primary runway at Bowles. 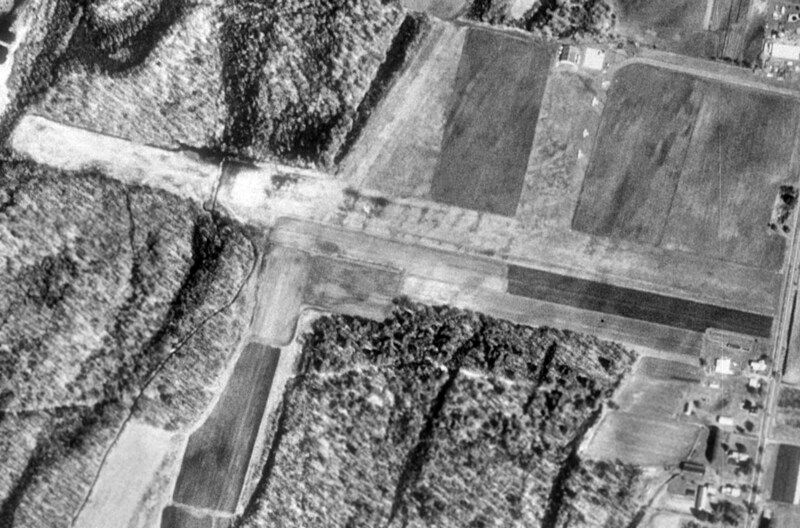 Note that the clearing to the right is a drainage ditch which was dug after the runway had been torn up." 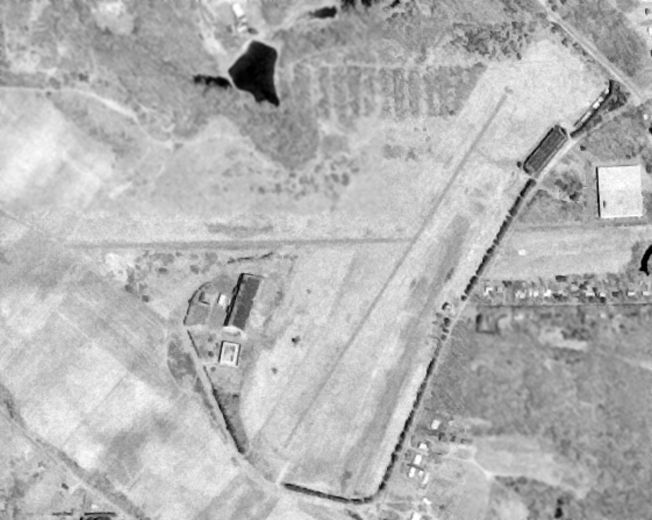 A 2016 aerial view showed no trace remains of Bowles Airport. 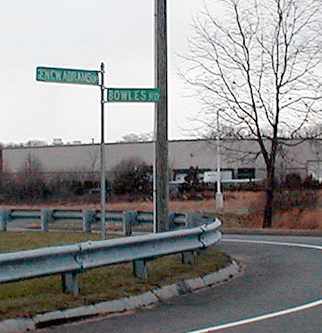 The site of Bowles Agawam Airport is located north of the intersection of Shoemaker Lane & Silver Street. The name of the field lives on, as one of the new streets which covers the site of the airfield is named Bowles Road. 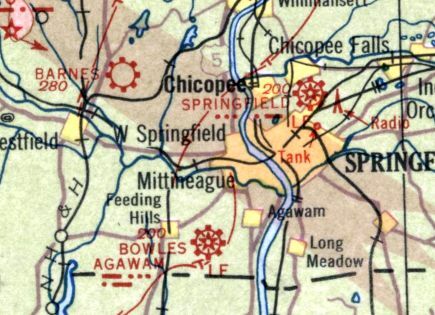 as depicted on the 1929 Rand-McNally Air Trails Map of Massachusetts (courtesy of Chris Kennedy). The date of construction of the Springfield Airport has not been determined. was on the 1929 Rand-McNally Air Trails Map of Massachusetts (courtesy of Chris Kennedy). operated by the Springfield Airport Company. The field was said to consist of a 3,000' x 3,000' area. 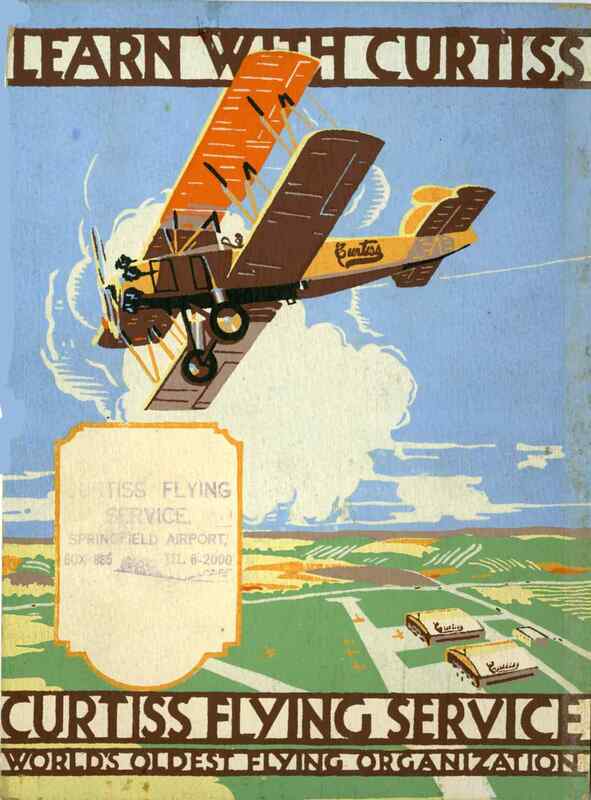 A circa 1920s sign used at various Curtiss Flying Service airports, this one to promote Curtiss Flying Service, Springfield Airport (courtesy of Tom Heitzman). 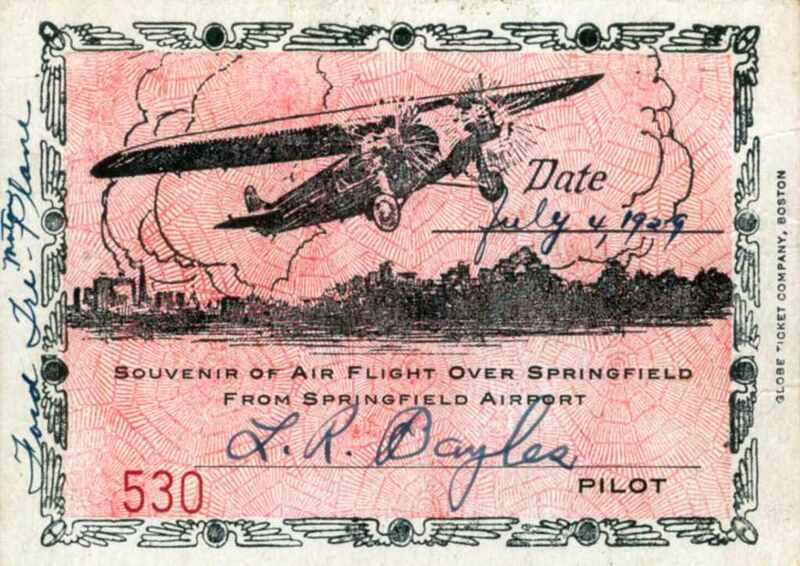 A certificate commemorating a 7/4/29 flight from Springfield Airport (courtesy of Tom Heitzman). 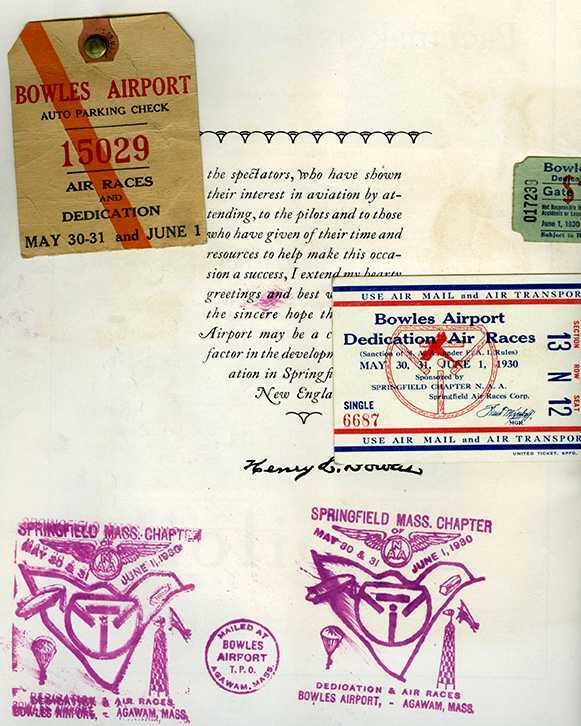 Note the certificate was signed by Lowell Bayles, who would go on to win the 1931 Thompson Trophy at the National Air Races. 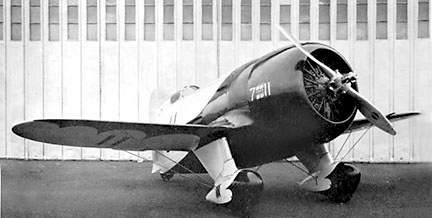 the creators of the famous & outrageous "Gee Bee" series of racing planes in the 1920s & 30s. and on July 6 finalized plans to locate at the airport there. 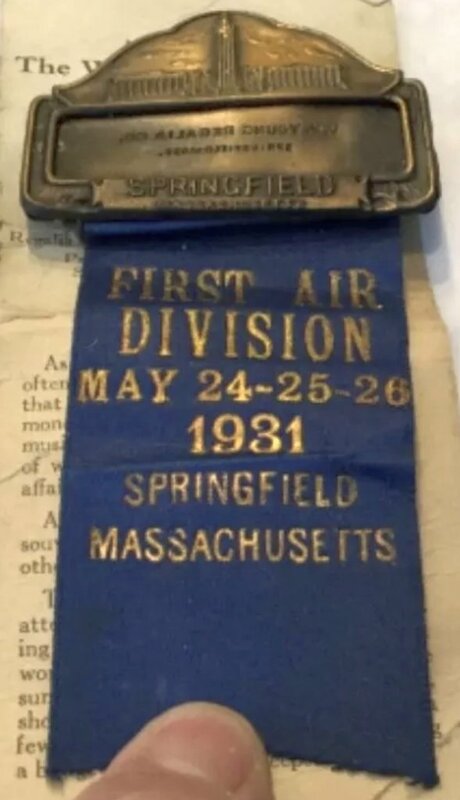 they entered their first air meet at Springfield on July 10.
as well as developers of the Springfield airport. and told him to come back after he had put "a real engine" in their plane. building planes in an abandoned dance pavilion formerly named the Venetian Gardens at the Springfield airport. Hard times descended on the Granvilles. Ed & Mark rented an attic room and lived on beans which they purchased by the case. 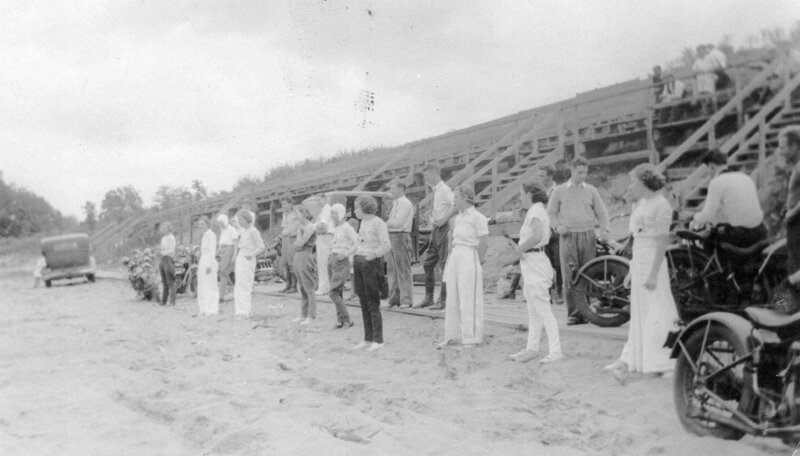 when the All America Flying Derby was organized & sponsored by American Cirrus Engines, Inc.
west to California, and back to Detroit. either the Cirrus or Ensign engine. Eighteen entries competed in this event and the Granvilles were among them. powered by an American Cirrus engine supercharged by a Roots blower to develop 110 hp at 2100 rpm. the Tait's owned & operated between Boston, Springfield and Albany. 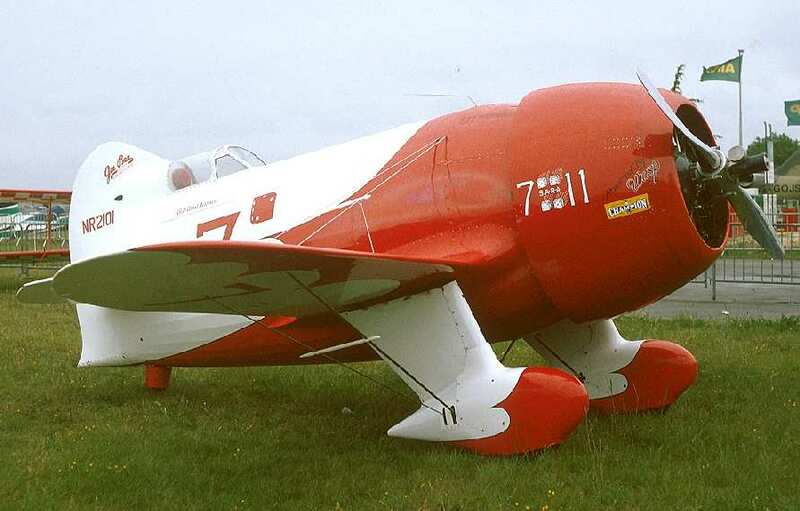 A 1996 photo of a replica of the Gee Bee R-2. The location of Springfield Airport, as depicted on the 10/7/29 National Air Tour Souvenier Banquet program (courtesy of Tom Heitzman). as depicted on the 2/28/30 Department of Commerce Airway Bulletin (courtesy of Jonathan Westerling). with 2 brick & wood hangars. 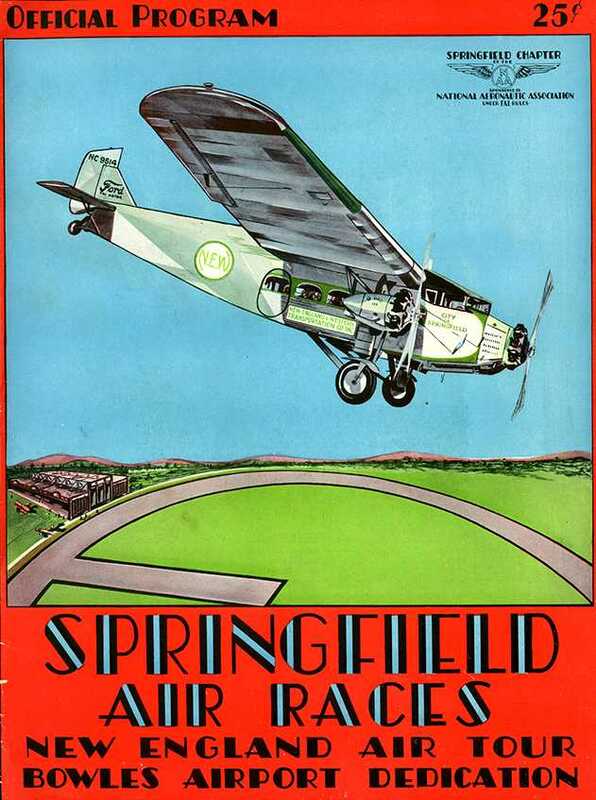 Springfield was characterized as a commercial field, owned by Harry Tait, and operated by the Springfield Airport & Aeronautical School. 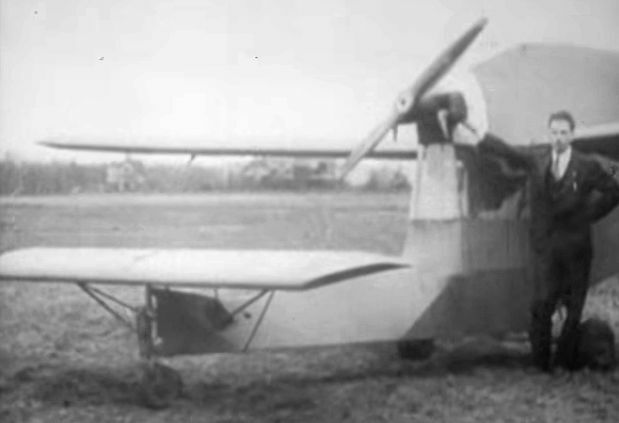 in front of his bizarre looking canard Granville Ascender at Springfield Airport (from a video courtesy of Jonathan Westerling). was an aerial view looking northeast from the Airport Directory Company's 1933 Airports Directory (courtesy of Chris Kennedy). 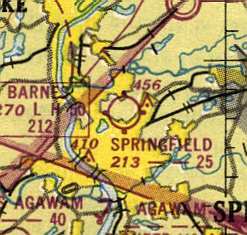 The directory described Springfield Airport as consisting of an irregularly-shaped 125-acre sandy field. Two hangars were depicted on the southwest side of the field, with another larger hangar on the northeast side. The airport manager was Edmund Fisher. Dashwood Radio Service, Granville Brothers Aircraft Company, and Inter-City Airlines, Inc. 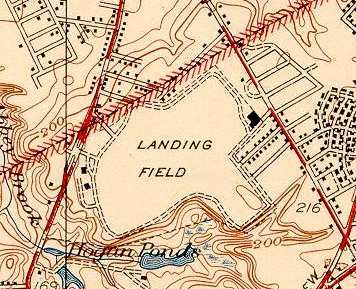 The 1933 USGS topo map labeled Springfield Airport simply as "Landing Field". and 2 smaller buildings along the west side of the field. Jim Malone recalled, “l was born in Springfield in 1934, and spent many days of my youth at & around the airport. There were air shows performed there on Sunday's in the late 1930s & early 1940s. I walked there with my parents & sister. We would crane our necks upward to watch the loops, rolls & spins. People were still in awe of aviation at that time. I watched an autogyro land & take off. I went for a ride in the 'Tydol Flying A' blimp. The following day the blimp was severely damaged by a wind storm. Most of the planes at the airport were Piper Cubs, and Aeronca Scouts, but there others: a Beech Staggerwing, an Aerocoupe, a couple of Stearmans among them. with hangars & buildings to the north, northeast, and west. within which the longest landing distance was 2,900' northeast/southwest. and operated by Springfield Airport & Aeronautical School Inc.
Two hangars & an administration building were depicted on the west side of the field. Chuck Lupien recalled, “I lived on Hungry Hill, a section in Springfield, and within walking distance of the field. Only a short trek north on Liberty Street. My mother worked at Hogan's Liberty Ice & Fuel Company, which was even closer to the airport when I stopped in from Glenwood School & Van Sickle schools to see her. The first airplane ride in my life was there, in a Piper Cub, at around 8 years old. My buddy & I were hanging around the building where the pilots were & one offered to take us for a ride. It was the thrill of our life. 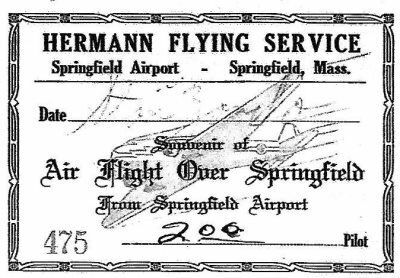 A Hermann Flying Service certificate commemorating a September 1942 flight from Springfield Airport (courtesy of Terri Colelli). Terri Colelli reported, “My mom, who is 92 years old, recalls the flight as if it took place recently. She & 2 friends went to the airport together but got to fly in separate planes, which all took flight around the same time. My mom recalled that she was able to see her girlfriend in the air & wave to her! depicted the field as an open grass area with a hangar on the east side. described Springfield Airport as having a 2,600' unpaved runway. as a 167 acre irregularly-shaped field with a loam & sod all-way landing area, with the longest dimension being 2,550' northeast/southwest. and to be privately owned & operated. 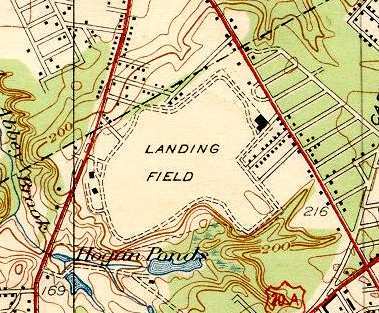 Springfield Airport was still labeled simply as "Landing Field" on the 1946 USGS topo map. 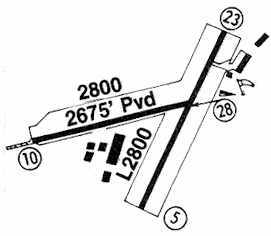 described Springfield Airport as having 2 runways, with the longest being 2,450'. as it was no longer depicted by the time of the 1954 Albany Sectional Chart (courtesy of Mike Keefe). 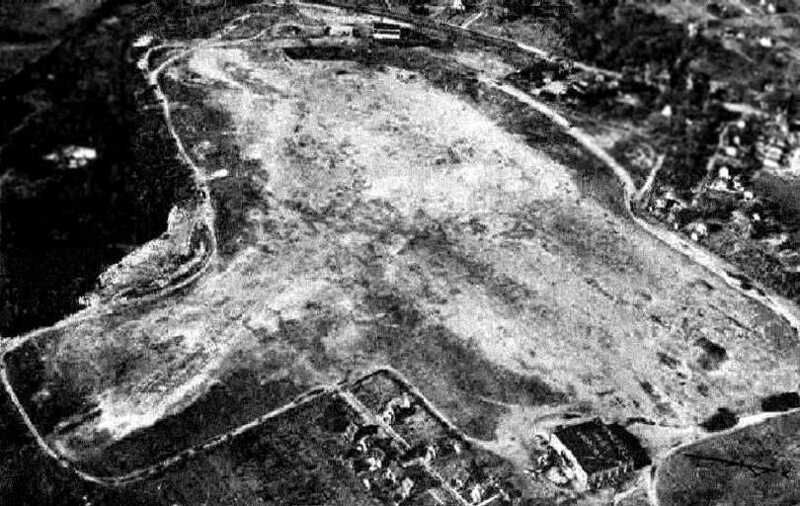 A 1957 aerial view showed Springfield Airport remained intact, but there were no aircraft visible or other signs of recent use. and the building was used by the Basset Boat Company. 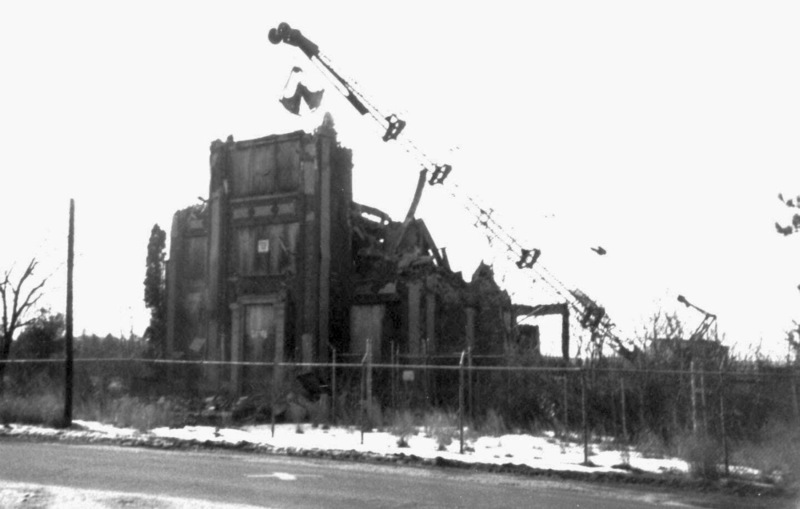 but the hangar remained standing on the east end. According to Ed Holda, “The Springfield Airport became the site of the Springfield Plaza. A 1971 aerial view showed the former Springfield Airport hangar which remained standing on the east side of the field. 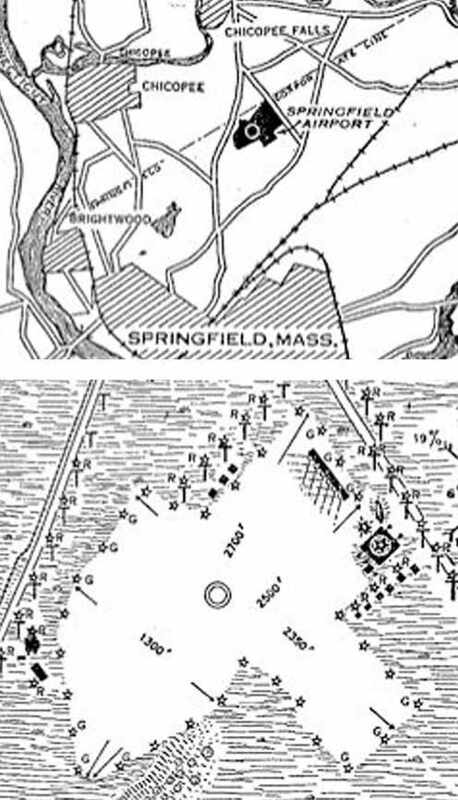 on which a survey marker named "Springport" could still be seen. A 1995 aerial photo showed the former Springfield Airport hangar on the east side of the field was evidently removed at some point between 1971-95. A 2013 photo by Tom Heitzman, who reported, “I just purchased purchased the last windsock used at Springfield Airport when it closed in the early 1950s. It was brought to Agawam airport by the FBO Wally Hagberg when he transferred his operation there. 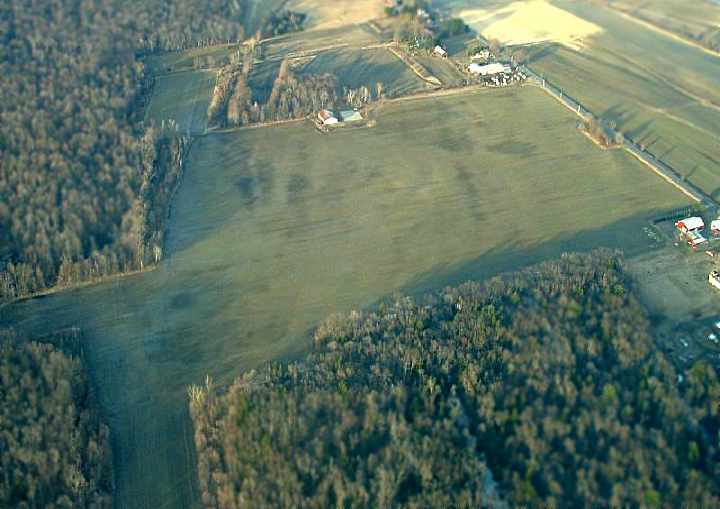 A 2016 aerial view showed no trace remaining of Springfield Airport. The site of Springfield Airport is located south of the intersection of Broadway Street & Saint James Avenue.